Punit Paliwal who is a member of Monks & Monkeys Travels Pvt. Ltd family. Encouraging you to visit to the mystical land of India which is an exhilarating experience, which helps you to rediscover the true essence of India. Monks & Monkeys Travels Pvt. Ltd., is now in your approach to make your dream come true. Why i joined MNM? Well, because MNM is a Destination Management Company which deals in MICE and Leisure Travel Segment. It`s one of the most popular Tour Operator in India. With its experienced, efficient and multilingual staff available 24 x 7 round the year to draw a complete tailor-made program to suit your needs and to supervise every stage of the tour and event. Founded in the year 2008 by Dr Sharad Kumar Jindal with the mission to discover a better way to bring the world to India, Monks & Monkeys Travels offers you details on holiday packages that take you to the most amazing destinations in India, Nepal and Bhutan. We maintain a strong focus on sustainable tourism, and a commitment to constant forward movement in terms of service, quality and value for money. Every year we do have thousands of satisfied guests who depart with a smile and with lovely memories of India. This has enabled us to offer a quality & personalized service and superb value for money by putting our client`s needs first, than anything else. The dedicated and versatile team of Monks & Monkeys Travels who are well qualified and are experienced with practical knowledge of the concern destination, our team do keep themselves in the shoe of guest and plan their program as requested. In addition to the personalized service we assure our clients of prompt responses to all their concerns. And our promptness in replies, readiness to serve, and homely hospitality give us an edge and make us different from other travel companies in India. We work as per the requirement of the guest and do add our valuable suggestion for a successful and hassle free tour within India. We pride ourselves on our prompt communication, so you can make decisions about your holiday and finalize flight arrangements without delay. We are having best fleets of latest car/coaches all over the country. As we have very good and long relationships with all major hotels in India, we can offer you best prices in hotel booking. We helps our clients to accomplish their dreams with our cutting edge services. Our panel of experts helps you to get a customized service according to your taste and requirements. We believe in leaving our clients awestruck by the Indian spirit, beauty, culture and the contemporary Indian lifestyle and the overall experience they would have once they visit India. India is land of varied colorful dimensions. The land which is always evolving with time and maintaining its old world charm and heritage as an asset. The land of festivals, religion, spirituality, seasons and things untold and unexplored. Monks and Monkeys have always pioneered the exciting concept which makes the Indian subcontinent more and more tempting destination to explore. Our tours are carefully crafted and packaged to enrich your experience and trust. The desert frontiers of Rajasthan, Snow Clad Himalayan Getaways, Incredibly Gorgeous South India, Sun Soaked beaches of Goa and Coastal India, the Wild Encounters and Safaris, the Sensuous Sculptures on granite, Serene Landscapes, Monuments Edifices of five millennium that too with a blend of modern and in sync technology. We specialize in group and personal travel and shall be overwhelmed to design a customized special interest holiday for you. We assure the best value for your money by providing quality service and support. Our services begin with the arrival transfer and till the final departure, which includes full guidance, assistance and support from our expert professionals throughout the tour. The company is fully equipped with modern amenities and technology and provides resolutions on the queries within 24 hours. Our experts are always ready to provide updated information regarding destinations like India, Nepal, Bhutan, Tibet and other International Destination too. Although in the ocean of tour operators, we might look like a mere drop, but we believe in the philosophy that even a drop can leave its mark on the hard rock with its consistence hard work. The vision by which we serve our clients will leave them content and in a profound bliss. We promise that traveling with us will redefine the idea of travel to the picturesque locales that we have to offer. INDIA’S MUCH TALKED CUSTOMS & TRADITIONS! Indian Culture and traditions are something which has now become renowned all across the world. 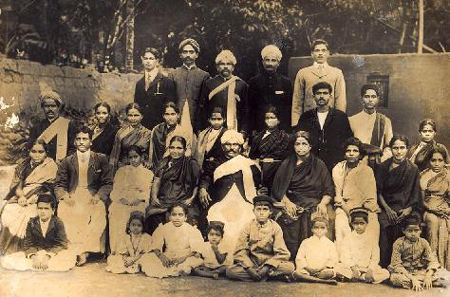 We all refer to India and its culture as something very diverse and unique. But seldom do we give a thought to why things are done in certain specific ways. Indian Culture is full of several unique customs and traditions, which outsiders might find really intriguing. Most of these originate from the Ancient Indian scriptures and texts, which have dictated the way of life in India for thousands of years. The Namaste is one of the most popular Indian customs and isn’t really just restricted to the Indian territory anymore. You have Barack Obama, who has been seen doing it on various occasions, or you had Ban Ki-moon, the UN Secretary-General, greeting everyone with a namaste at the Times Square in New York on the first International Yoga Day. But, what’s the significance? The Namaste, or namaskar, or ‘namaskaara‘ is one of the five forms of traditional greetings mentioned in the ancient Hindu scriptures, the Vedas. It literally translates to ‘I bow to you’, and greeting one another with it is a way of saying ‘May our minds meet’, indicated by the folded palms placed before the chest. The word namaha can also be translated as ‘na ma’ (not mine), to signify the reductions of one’s ego in the presence of the other. 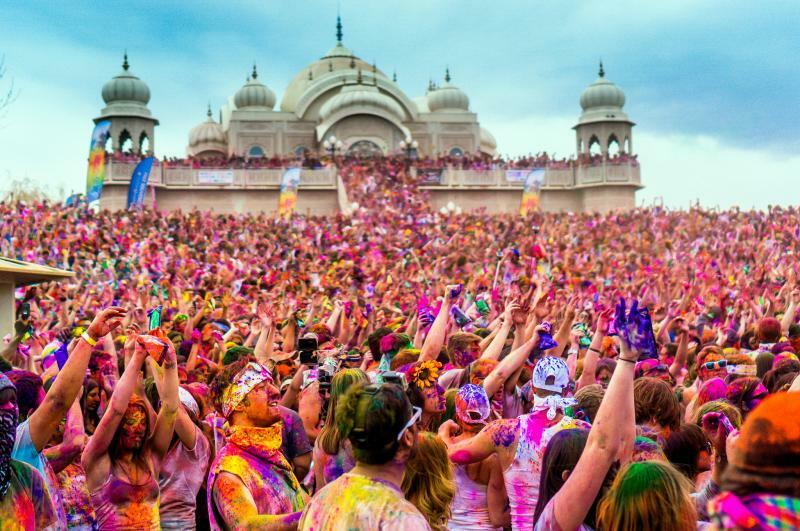 India also sees a large number of festivals, mainly because of the prevalence of diverse religions and groups. The Muslims celebrate Eid, the Christians have Christmas, good Friday and so on, the Sikhs have Baisakhi (harvesting of crop), and the birthdays of their Gurus and the Hindus have Diwali, Holi, Makar Sakranti, the Jains have Mahavir Jayanti, the Buddhists celebrate the Buddha’s birthday on Buddha Poornima, and quite honestly, the number is endless. All of these translate to holidays in our book, of course. Also, in India, there exists the concept of a joint family, wherein the entire family (parents, wife, children and in some cases relatives) all live together. This is mostly because of the cohesive nature of the Indian society, and also reportedly helps in handling pressure and stress. Fasting is an integral part of Hindu culture. Fasts or Vrats or Upvas are a way to represent your sincerity and resolve, or express your gratitude to the Gods and Goddesses. People throughout the country observe fasts during various religious occasions. Some people also observe fast on different days of a week in favour of a particular God or Goddess associated with that particular day. It is widely believed that by doing so, you are depriving your body of a basic necessity and thus, punishing yourself to cleanse off the sins that you have committed until the day of fast. The rules and regulations of a fast are in accordance with the particular occasion. The origin of fast probably comes from the Vedic ritual of kindling the sacrificial fire for sacrifice purposes. 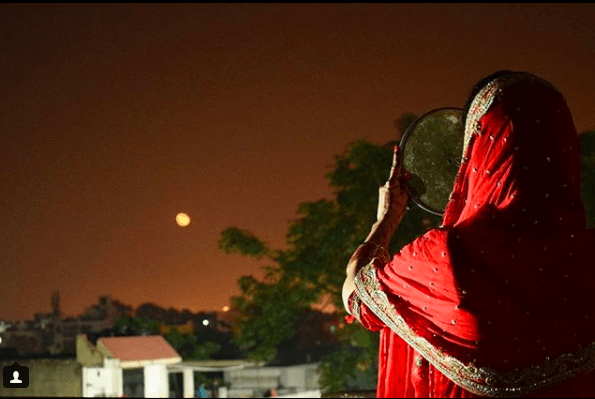 Since the word ‘upvas’ has been used for denoting both fasts and kindling sacrificial fire, it can be thought that people observed fasts when they had to kindle or rekindle the domestic fires kept in their homes to perform daily sacrifices. 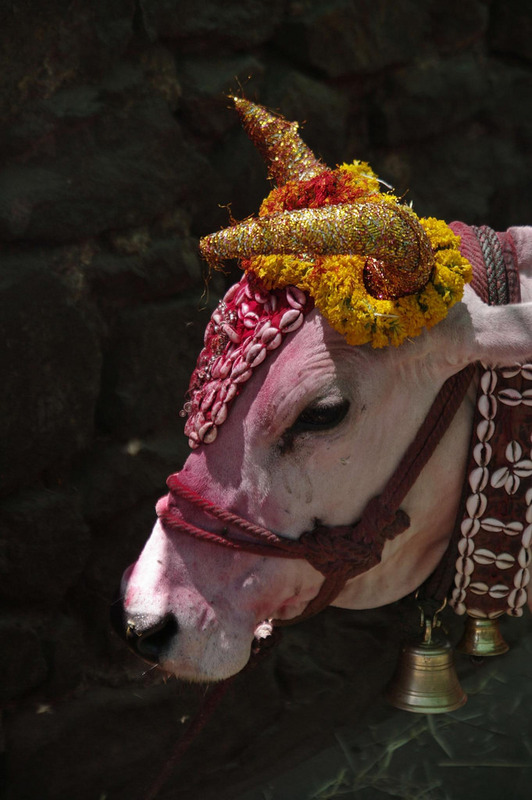 Cow, in the Indian culture, is considered to be a Holy animal. She is worshipped as a maternal figure and is a depiction of the bounty of Mother Earth. Lord Krishna, who grew up as cow herder is often depicted as playing his flute among cows and Gopis (milkmaids) dancing to his tunes. Interestingly, Lord Krishna is also known by the name of ‘Govinda’ or ‘Gopala’, which translates to the ‘friend and protector of cow’. Hence, cows have an auspicious significance in Indian culture and religion. Even Lord Shiva’s trusted vehicle is Nandi- the sacred bull. Thus, feeding a cow or making contributions for cow shelters is of immense religious importance for Indians. The Vedic scriptures, in various verses, have emphasised the need to protect and care for cows. Cows are a source of life-sustaining milk. Even the cow dung is an essential and energy efficient source of fuel, especially in rural India. Killing the cow or consuming cow meet is considered to be a sin. Hence, several states in India have banned the slaughter of cows by law. Mother cow is, however, not worshipped as other deities. Indian culture and religion appreciate and expresses its gratitude towards this innocent animal who gives back to mother Earth and its people in more than one form. This entry was posted in Spirit of India on January 18, 2019 by Monks & Monkeys Travels Pvt Ltd. So it was a small but unforgettable time spent in penang hill as part of very well organised trip by Ghoom Lo Duniya. GhoomLoDuniya is finest venture of human expertise launched by Monks & Monkeys Travels to make the abroad trips easier for Indian Nationals. Coming back to the Penang Hill where we with a group of 56 explored Malaysia. It was Penang Hill which took the highlight. Set 821m above Penang’s capital, islanders call it Bukit Bendera and it is generally about five degrees cooler than Georgetown. It is the last patch of tropical rainforest in Penang so the flora and fauna here have been protected since 1960. It does not have the same prominence as Genting Highlands, Fraser’s Hill or Cameron Highlands but it is one of Penang’s best-known tourist attractions due to its fresher climate. There is a food court called Sky Terrace where we sat 800 mtrs above the city and have some beer, where the live music was played as per our choice, there were other shops such as fruit and souvenir stalls, some gardens, an exuberantly decorated Hindu temple, a mosque, a police station, a post office: the original funicular train, built in 1897, is also on exhibit here. Views from The Top From the top of Penang Hill. On a clear day you can see the mountains of Langkawi and north Kedah but it is the night time sight of lit-up Georgetown that is especially rewarding. Most people simply come to enjoy the cool, unpolluted air and walk under 30 m-high trees along the nature trails. Additionally, over 100 species of birdlife, ranging from ordinary garden species to exotic deep forest inhabitants, call this hillside home. Two kilometres away from Bellevue Hotel is the Canopy Walk: this 220m walkway suspended between towering trees 30m above the dense jungle offers great views of the hillside. Opened in 2003, it was operational for a short time, and since then, due to its failure to attract sufficient customers, it has opened and closed without much announcement. I hope you enjoyed reading the blog. Other videos and pictures would uploaded on the next blog. Stay Tuned. This entry was posted in Fly High, Nature's Lap and tagged Best of Penang, India to Malaysia, Malaysia Tour, Penang and langkawi, Penang Hill on November 1, 2018 by Monks & Monkeys Travels Pvt Ltd.
Четвертым лунным день (чатурти титхи) ведического лунного календаря управляет Ганеша – божество, устраняющее препятствия и дарующее богатство и удачу и, поэтому все, кто стремятся добиться его расположения, соблюдают в эти дни пост и проводят ритуалы подношения. Воздерживаться от пищи необходимо от восхода Солнца до появления на небе Луны, очень благоприятно читать мантры, жечь благовония и свечи перед статуэткой или изображением божества. Пост Ганеш Чатурти зависит от движения Луны ( а не Солнца), и отмечается в тот день, когда 4-ые лунные сутки приходятся на момент восхода Луны. Есть небольшая разница между постами в темную и светлую фазы Луны. Чатурти в темную фазу Луны (Кришна пакша) называется Санкашти чатурти, и воздержание от пищи в этот день помогает освободиться от всевозможных препятствий (в бизнесе, учебе, карьере и тд). Выделяются также так называемый день Ангарки (Ангарика, Ангарка) чатурти – когда лунный день чатурти темной фазы Луны выпадает на вторник. Вторником управляет Марс, и Ангарак – одно из его имен. Согласно Ведической астрологии в такой день любые меры по астрологической коррекции Марса будут намного эффективнее. Чатурти в светлую фазу Луны (Шукла пакша) называется Виньяка чатурти, и соблюдения поста в этот день дает такие качества, как мудрость и терпеливость в достижении своих целей. Однако самым значимым постом считается праздник Ганеш чатурти – День рождения Ганеши, который выпадает на четвертый лунный день светлой фазы Луны лунного месяца Бадрапад (август-сентябрь). По этому случаю в этот день по всему миру последователи индуизма воспевают гимны, делают пуджи (ведические ритуалы), читают мантры и дарят подарки (=делают подношения) Ганеше. 20 января, суббота – Виньяка чатурти. 19 февраля, понедельник – Виньяка чатурти. 21 марта, среда – Виньяка чатурти. 19 апреля, четверг – Виньяка чатурти. 18 мая, пятница – Виньяка чатурти. 16 июня, суббота – Виньяка чатурти. 31 июля, вторник – Ангарки чатурти. 29 августа, среда – Санкашти чатурти. 27 октября, суббота- Санкашти чатурти. 26 ноября, понедельник – Санкашти чатурти. 25 декабря, вторник – Ангарки чатурти. 24 января, четверг – Санкашти чатурти. 22 февраля, пятница – Санкашти чатурти. 23 марта, суббота – Санкашти чатурти. 22 апреля, понедельник – Санкашти чатурти. 21 мая, вторник – Ангарки чатурти. 20 июня, четверг – Санкашти чатурти. 20 июля, суббота – Санкашти чатурти. 19 августа, понедельник – Санкашти чатурти. 17 сентября, вторник – Санкашти чатурти. 31 октября, четверг – Виньяка чатурти. 30 ноября, суббота – Виньяка чатурти. 29 декабря, воскресенье – Виньяка чатурти. This entry was posted in Festivals & Pilgrimage, Spirit of India and tagged Festivals of India, Ganesh Chaturthi, Indian Pilgrimage, Lord Ganesha, Religion of India on September 13, 2018 by Monks & Monkeys Travels Pvt Ltd.
Aviation Ministry proposes to remove cancellation fee on flights. In a big respite from cancellation charges for air passengers, the aviation ministry has proposed a lock-in period of 24 hours from cancellation charges for flight tickets . However, a ticket booked 96 hours (4 days) before the flight will not be eligible for the cancellation fee waiver. “No cancellation charges will be levied if the tickets are cancelled within 24 hours of booking, provided the ticket is booked 96 hours before flight. This entry was posted in Новости, News / Новости and tagged Airline news, Aviation Ministry on May 22, 2018 by Monks & Monkeys Travels Pvt Ltd.